Big Fish Casino has made a new slot machine available to VIPs: Tiger’s Trove. 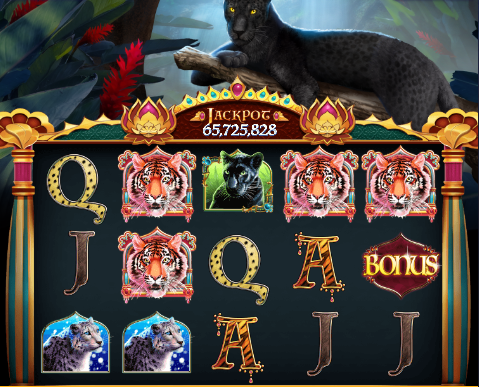 In this jungle cat-themed slot machine, get three bonus symbols to get free spins. You can also pet the cat at the top of the screen (either with your mouse on web/Facebook or with your finger on mobile devices) to change the scenery. For more details on this machine, including payline information, min/max bets, and more, check out the Tiger’s Trove page.